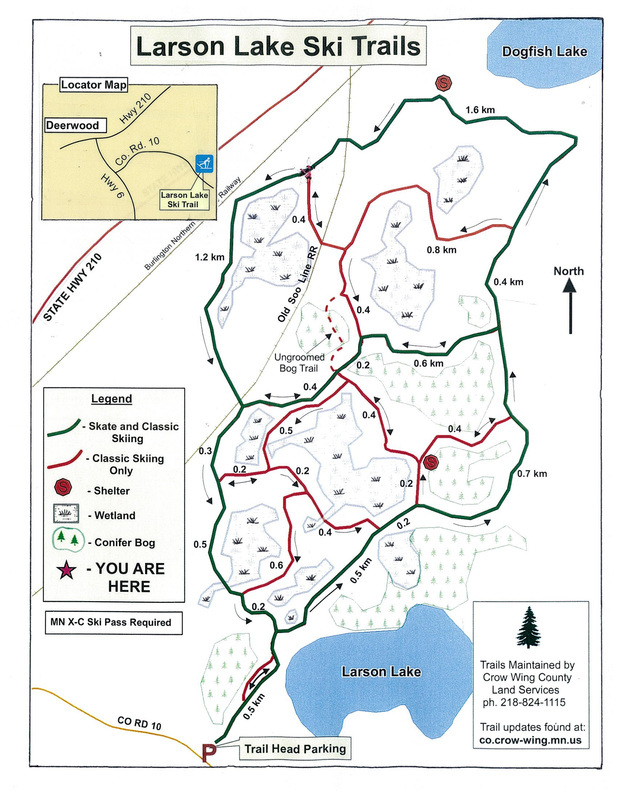 The Larson Lake Trail system is a good mix of classic and skate trails. Please note that the interior loops are classic only. The trails are maintained by the Crow Wing County Land Services.